The S&P 500 has surged to a new record on Thursday, amid subsiding fears of the crisis in Ukraine and reports that the US unemployment rate could fall from 6.6 to 6.5 per cent. An index of 500 stocks listed on the Standards and Poor 500 at the New York Stock Exchange, the S&P 500 stumbled slightly in January and February after a record 2013, but regained much of its momentum since the beginning of March. The US Department of Labour on Thursday released data showing that the number of Americans filing for unemployment benefits fell to a seasonally adjusted 323,000 – the lowest level in three months. Nevertheless, it was a mixed bag on Wall Street at end of trading. 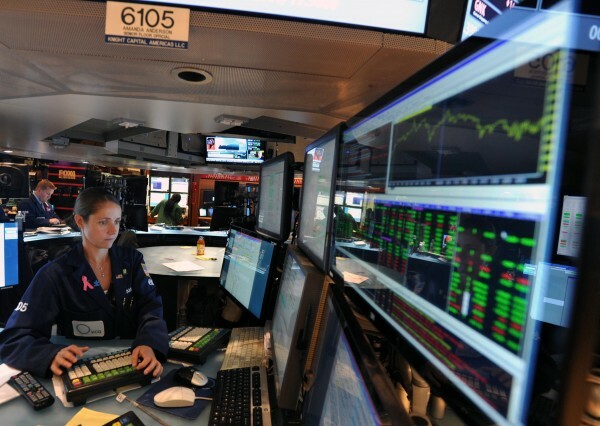 The Dow Jones rose 0.38 per cent while the Nasdaq Composite fell slightly at 0.14 per cent. S&P 500 went up 0.17 per cent. US market analysts do not expect a shift in Federal Reserve policy on Thursday’s data. Although, former Chief Ben Bernanke had said interest rates would be raised if the unemployment rate fell to 6.5 per cent, most believe that the Fed will stick to tapering its stimulus programme by a further $10 billion. Meanwhile, Russian markets, which earlier in the week tumbled as the Ukraine crisis appeared to peak, stabilized momentarily on Thursday amid anticipation that diplomacy would replace the rhetoric of conflict. But after the Ukrainian region of Crimea moved to secede and join Russia, Moscow markets plummeted. Moscow’s MICEX, which had earlier in the week lost some 11 per cent, shed another 2.2 per cent on the news. On Thursday, Russian analysts predicted a three-fold increase in capital outflow from the country – to the order of $150 billion a year as the influential Moody’s rating agency said the Ukraine crisis would negatively impact the Russian economy for some time to come. “This negative sentiment [Ukraine crisis fears], which is likely to translate into increasing net private sector capital outflows that have already been a structural impediment to Russia’s economic development, will negatively affect Russia’s GDP growth,” Moody’s said in a statement.